Welcome to page of Last Minute offers in Prague. 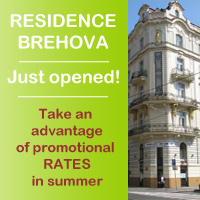 We provite the best rates for apartment accommodation in Prague. We have unmatched offer of Prague's high quality apartments situated in the heart of Prague. 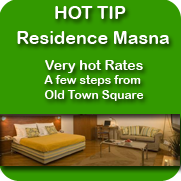 The rates are updated online so you can be sure you will get the best price for you accommodation. You can make a booking at special discounted late rates! We have developed this site to offer you, our visitors, the unique possibility of Prague lodging in late available properties that enables you to save your money up to 50%!